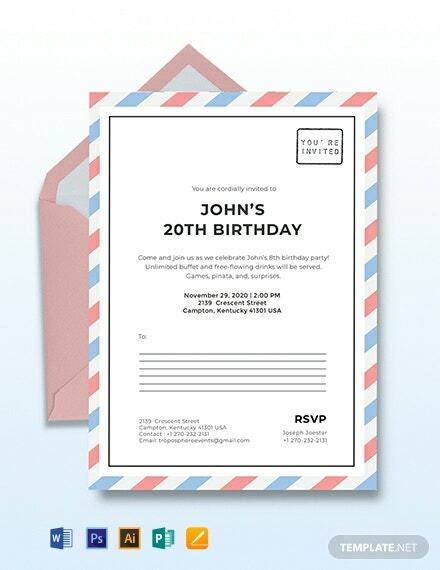 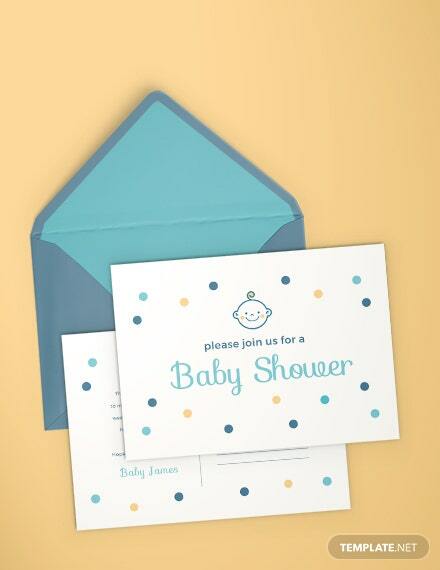 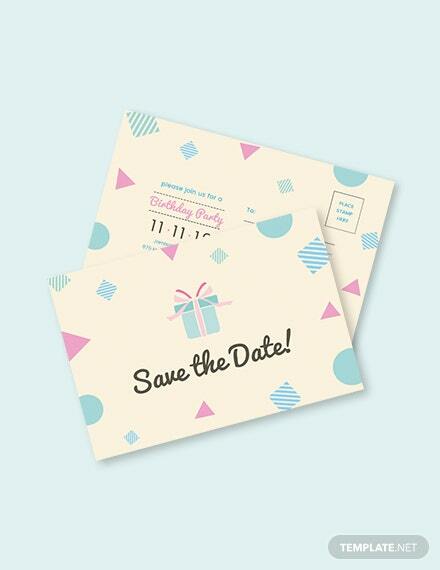 Want to send a unique birthday invitation the old fashioned way such as through snail mail? 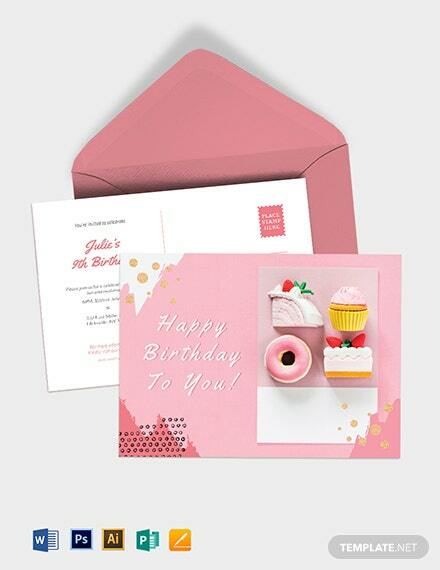 Then this Birthday Postcard Invitation Template is perfect for you! 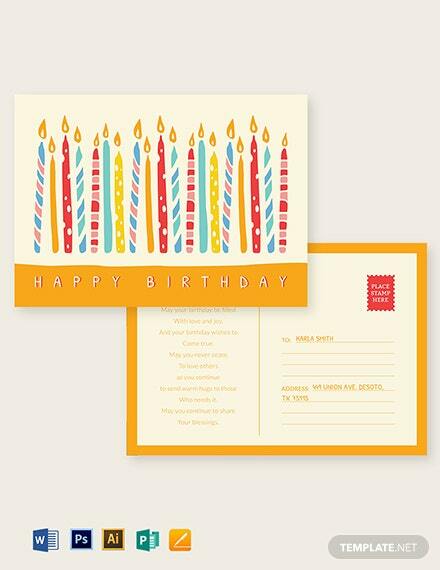 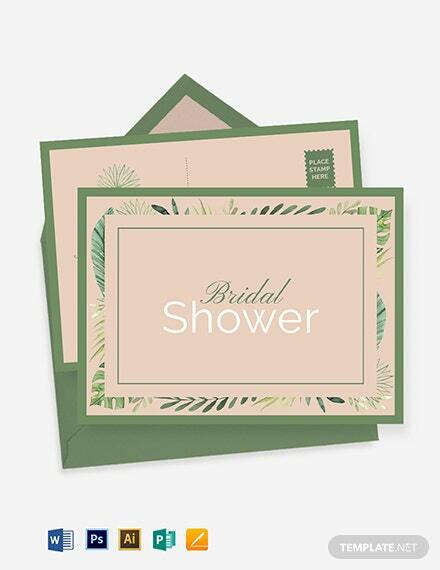 This is created in a postcard style +More card which allows you to put in a message and the details regarding the party. 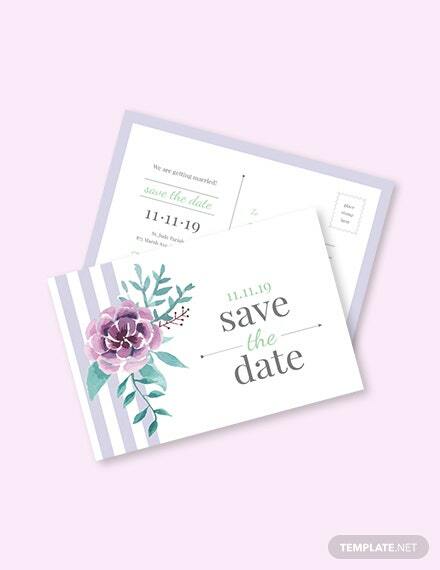 Not only will your guests have memories of an amazing party they were invited to, but they’ll have a different but fun experience receiving the invitation. 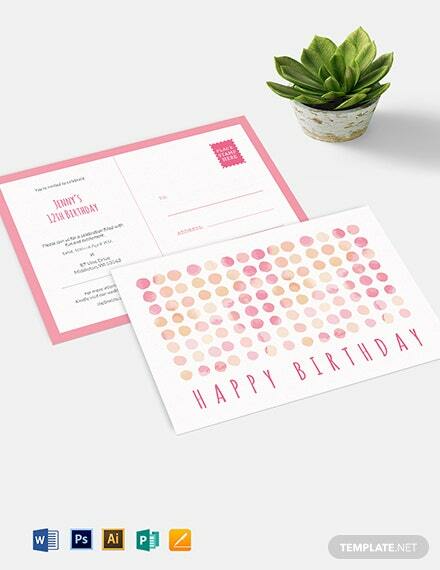 This pre-created template with stunning designs can be customized with ease using different editing applications such as Illustrator, or Adobe Photoshop. 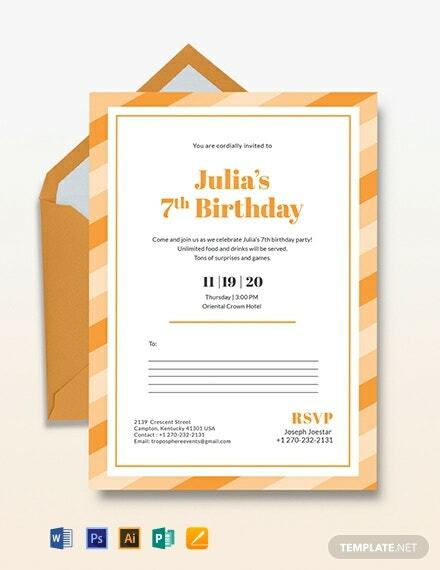 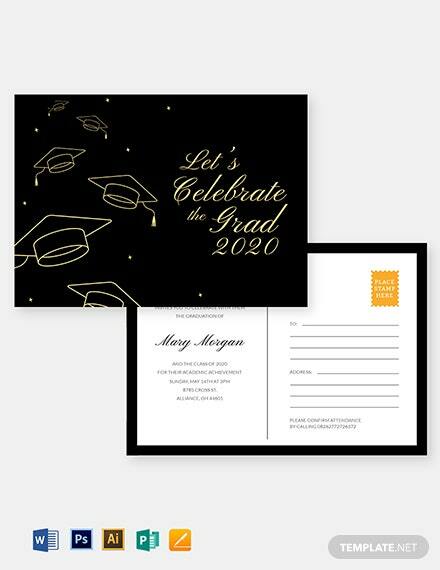 Its high-quality resolution will ensure that whether you print commercially or at home, you will always have great invitations. 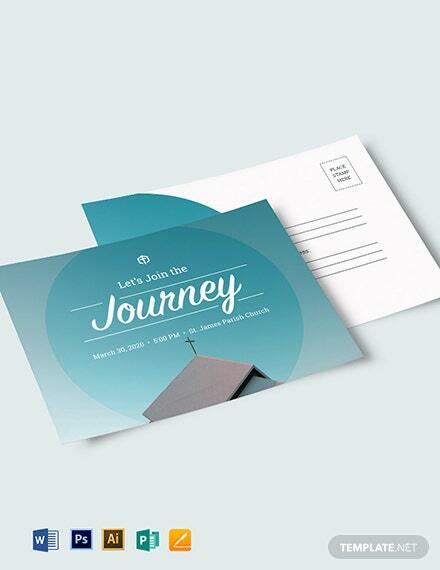 Don’t wait any longer, avail and download today!